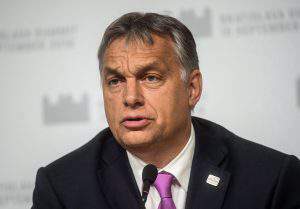 Budapest, June 11 (MTI) – Prime Minister Viktor Orban and Foreign Minister Peter Szijjarto held several meetings on the sidelines of the European Union – Latin America summit meeting under way in Brussels, the head of the prime minister’s press office said on Thursday. 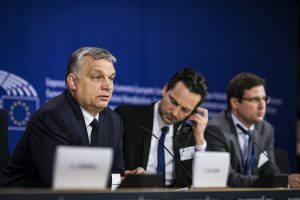 Orban attended a consultation focusing on migration with representatives of the Visegrad Four countries, Bertalan Havasi said. Szijjarto and his Peruvian counterpart Ana Maria Sanchez discussed Hungary’s plan to join the Pacific Alliance (AdP) as an observer. The south American members are supporting the endeavour and expected to make a decision in July, he said. Peru has one of the world’s most open economies and concluded several free trade agreements. It is in Hungary’s interest that the free trade agreement between the European Union and Peru should enter into force as soon as possible. 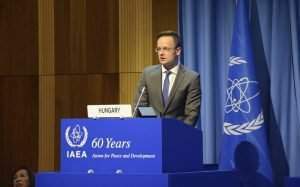 Szijjarto said that Hungary has already ratified the agreement and is urging other EU members to follow suit. Eximbank opened a 300 million dollar credit line to support Hungarians companies in the Peruvian market. The two dies also agreed that Hungary would offer scholarships to 20 students from Peru.